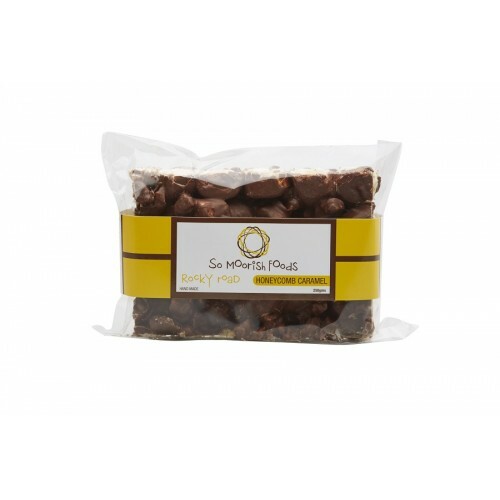 So Moorish Foods Honeycomb Caramel Rocky Road is the most popular flavour for good reason: a decadent blend of the finest Honeycomb, Caramel, Vanilla Marshmallows and crunchy oat and butter biscuits smothered in smooth Milk Chocolate. 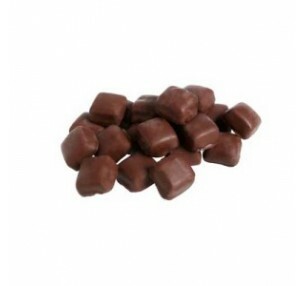 Pink Lady's Chewy Caramels will give you many quiet moments - because your teeth will be st.. 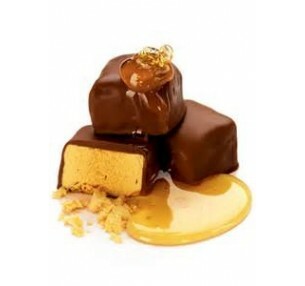 There's nothing more satisfying than biting into a chunk of super crunchy honeycomb that's s..